The Winter 2018 issue of Encaustic Arts magazine, featuring my article on encaustigraphics, is now available! The 18 page article includes many photographs of my work and even includes basic instructions on how to make e*graphics so you can start creating your own. I’m very excited to have encaustigraphics available to an international audience, and I hope you enjoy learning more about e*graphics, how it came to be and where it’s heading! 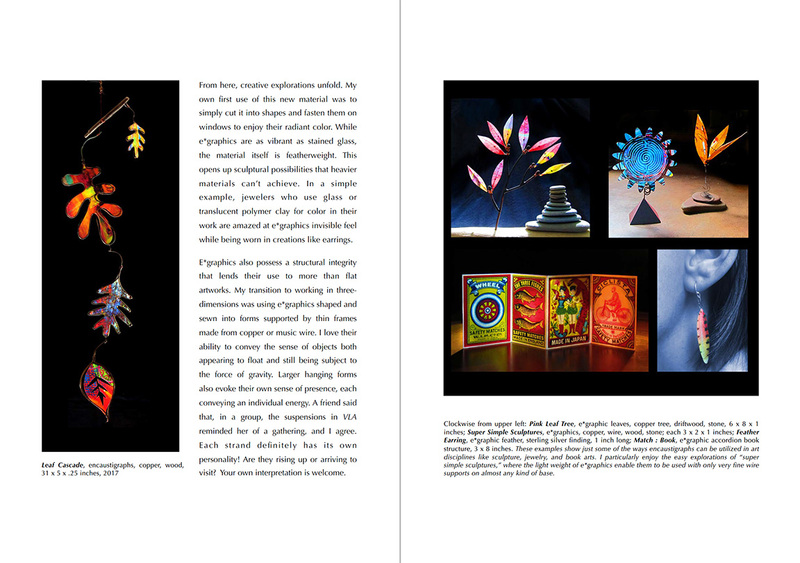 This is a second spread from my article on encaustigraphics in Encaustic Arts magazine. Click here find out how to purchase a copy of the issue.